Marmon Motor Car Company, used in various races and winner of the 1911 Indianapolis 500. The Marmon Wasp is significant based on all four of the Criteria for Historic Significance. 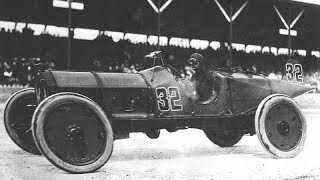 It is associated with both important events in the history of the U.S. (the birth of motoracing and the beginning of the Indianapolis 500-mile race which the Marmon won the inaugural event in 1911) and important people such as its pilot and engineer, Ray Harroun. Its construction value is of significance as well, contributing to its win in the 1911 race, and having a large effect on automotive design and engineering. It is believed to be the first car to utilize a rearview mirror. Finally, as an artifact that survived in its entirety since its win with only light restoration, it is a testament to the pioneering days of American auto racing and provides substantial informational value.